A hemiparasite or partial parasite, mistletoe grows on the branches of other trees and penetrates its own roots in the tree for gathering nutrients. 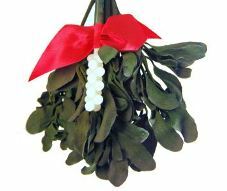 Mistletoe always has been associated with myths and traditions. Some consider it as symbol of fertility, some as an aphrodisiac or for couples; it is a reason to kiss around Christmas. Ancient Greeks considered mistletoe as having mystical powers, which is why several Greek folklore mentions mistletoe. I am talking about the ones found in Europe, called Viscum album, which grows sticky, has poisonous berries and small yellow flowers. The other kind of mistletoe is the Phoradendron flavescens, grown in the East Coast of the United States and mostly used for Christmas decoration. It is believed that Druids collect mistletoe on winter and summer solstice as a symbol of fertility and also because they considered it be an antidote to poison. Another belief is that they bring good luck because they are immune to fire and water, which is why parents used them to hang around their children’s necks for protection. In the Middle Ages, people used to hang branches of mistletoe from the ceiling or on the doors to prevent evil spirits from harming them. Pliny, in his Natural History XVI, mentions that if mistletoe is taken with drinks then it will impart fecundity to all animals that are barren. In Wales, farmers believe “no mistletoe, no luck”. A branch of mistletoe was placed beside the firs cow that gave birth to a calf after the first hour of the New Year. In Scandinavia, enemies use mistletoe as a token of peace, to declare truce. This coming Christmas, find some mistletoe in the woods or buy it for your decorations, and feel the aura of mistletoe around you. This is a fantastic post. Thank you for taking a few minutes to summarize this all out for all of us. 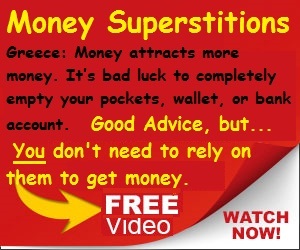 It truly is a great guide!